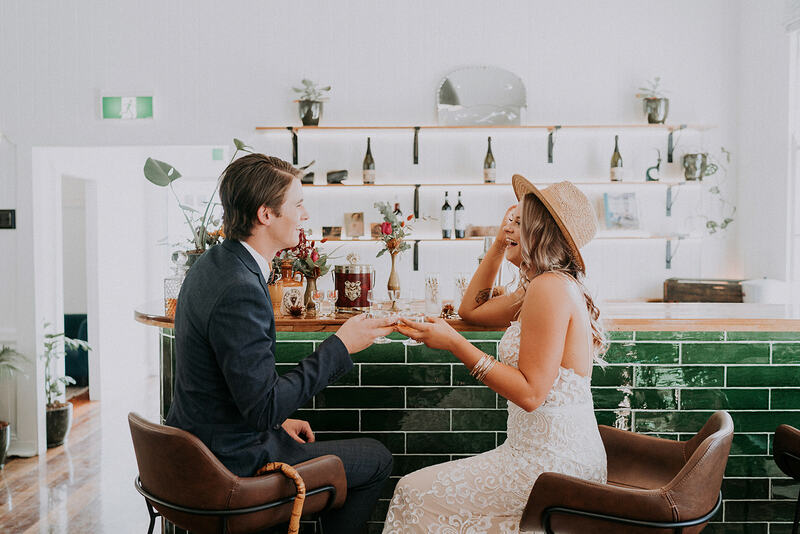 Bordering a park and nestled under the shade of a giant Moreton Bay fig, Loyal Hope is the picture perfect wedding venue. You’d think you were in the country, yet the venue is in a fantastic location only meters from vibrant James and Brunswick Streets in the heart of Fortitude Valley. Each hire has exclusive use. Featuring restored white VJs, hardwood polished timber floors and huge sash windows, the internal space offers the perfect ceremony or reception venue. The photo opportunities are endless with a raised garden courtyard balcony at the entrance and the stunning stone façade of the heritage listed St Patrick’s Church (circa 1882). We’re currently taking tentative bookings for ceremonies and receptions. Please contact us to arrange an inspection or for further details. Please add up to three dates.